San Luis Obispo County’s Board of Supervisors voted unanimously to replace the county’s dilapidated animal shelter with a new 15,000 square foot shelter. Currently, animals are housed in a 45-year-old facility that was built over a landfill. Because of issues with methane gas, doors are left open exposing animals to the elements. A lack of heating, poor ventilation, and an inadequate facility layout promote stress, illness, and behavioral problems in sheltered animals, according to the staff report. 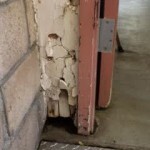 In 2007, a San Luis Obispo Grand Jury report noted the need to repair or replace the facility. On Tuesday, county staff brought forward two options, update the existing facility at a cost of about $8 million or build a new facility for $10 million. Supervisor Lynn Compton argued that it made more sense to construct a modern humane facility rather than spend money on a patchwork of repairs and upgrades at the current shelter. 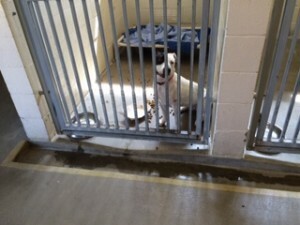 The animal shelter is currently located at 885 Oklahoma Avenue. The new shelter is slated to be built at the end of Oklahoma Avenue not far from the sheriff’s department. Did Santa Barbara health clinic infect patients with Hepatitis C? Where does California stand in property tax rankings? I am glad the shelter will be replaced but $10 million seems a little on the high side. Woods Humane Society is right next door and I doubt it cost that much even with the land cost. Any chance they could simply “recycle” those plans and save some $$$? Just great. When stray dogs and cats across across the country learn we’ve built a new state-of-the-art shelter, they’ll converge on our county in droves. When will the handouts end? These animals need to show some initiative and go out and find their own responsible, loving owners! I swear, the growing sense of entitlement in this country! YEAH …Those dogs and cats should pick themselves up by their own bootstraps ! And learn to speak Amurican, dammit ! $10 million for a 15,000 Sq. Ft. facility comes out to $667/sq. ft. Did I misplace a decimal? Isn’t it amazing! If you question the cost, they’ll tell you it’s because it has to be ADA accessible or some such rubbish. SLO City spent $800 k for a fancy outhouse in Laguna Park. How do they do it? ADA accessible phooey, those disabled people should just stay home because parks are for “normal” people? Isn’t it amazing how people think only of themselves. Perhaps you can do like slobird and hide all your assets out of state so you don’t have to pay for silly things like parks and roads etc. Maybe Slobird could let the rest of us in on how to hide assets out of state…. Texas is a wonderful refuge jurisdiction. But, back on topic, it’s nice to see that a NEW animal facility is only 25% more than a re-worked facility. Go with the new one for 25% premium. One suspects that it will be 250% or more than rework, for the Morro Bay sewage works, when all is said and done.